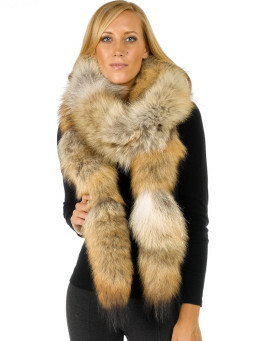 The Women’s Nikita Silver Fox Fur Poncho is a glam design for women who want a unique look. The V-cut design is layered and lush over a formal dress or t-shirt with jeans. Genuine Silver Fox Fur is multi grey colored and soft to the touch. This fashionable poncho is adorned with a silky lined interior for your comfort. The sophisticated style is one size fits all to gift to a fashionable woman. This cozy piece is made for you to accentuate any ensemble and look fantastic. Whether you're out on the town or running errands, you'll love the glam look and feel.